Windham Town Hall, Bellingham Auditorium, 979 Main Street starting at 6:00 PM. 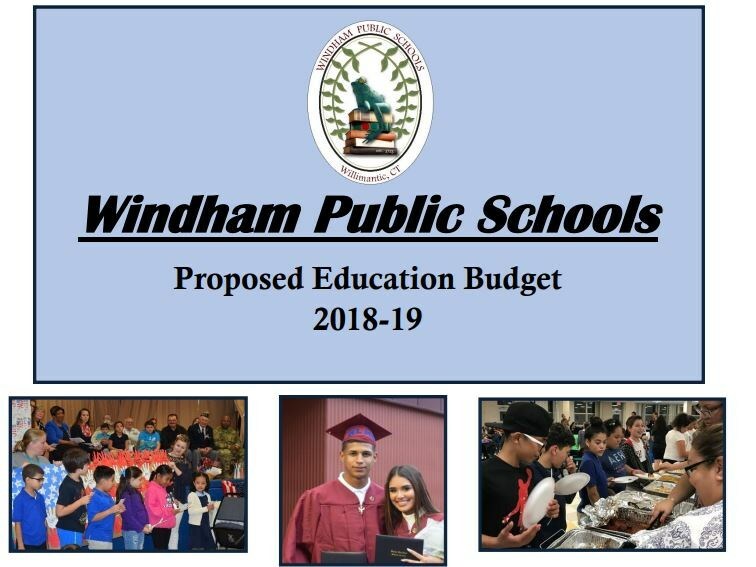 All Windham residents are encouraged to speak up about their views on the proposed budget for the 2018-19 school year. Want to learn more about the proposed school budget. 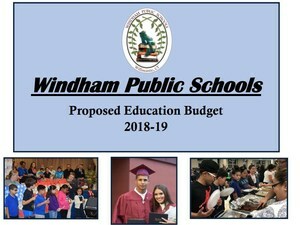 Details on the full budget book, and summary presentations by Supt. Garcia are available on the Board of Education's web page.